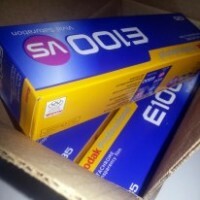 We have a pack of Kodak Ekta E100 vs to give away this week. Simply share with us on twitter one of your favourite image shot on analogue in 2012. We have been shooting on Ekta too and just love the results we are getting. Can’t wait to share with someone else! Only rules are it must be your image and it must be on film….